To win the game you must win 2/3 rounds. You win a round by having more points than the other player. 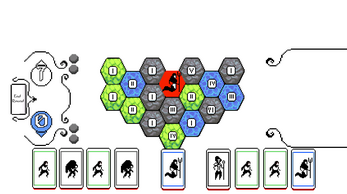 The game begins by dealing 8 terrain cards to you. You then must select 8 different units cards to play the game with. Each unit card has a strength value and a modifier. Modifiers can be affected by the terrain card so take note. The game then deals out the points on the empty tiles. The players then go about adding terrain cards to the point tiles. You want to have high point values with terrain that your units can benefit from. Note what your opponent is doing as well. 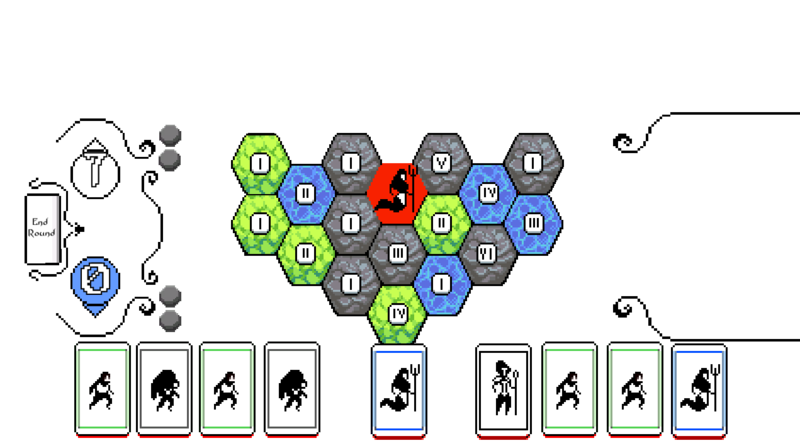 The game starts by players placing units on the tiles. The points are then added to your score. You can forfeit a round if you think you can win the next couple by pressing the end round button.